The Micro is designed to meet the demands of high performance RFID handheld, mobile, and stationary readers. This embedded UHF RFID Reader offers two antenna ports and supports the ability to transmit up to +30 dBm for demanding applications. 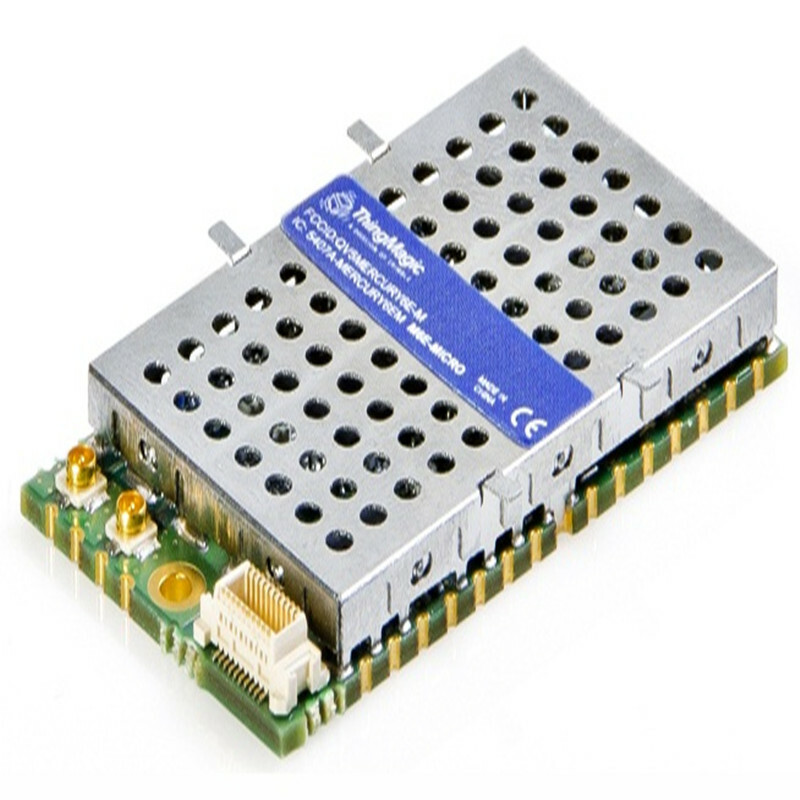 The edge connections for signals, power, and RF allow the module to be soldered directly to a motherboard as a standard component. The on-board connectors allow the module to be mated to a motherboard as an add-on option.